Got your new Samsung S10 in 2019? Here are the complete and foolproof ways to transfer data to Samsung, or the other way around. S10 vs iPhone X: Which One You Prefer? 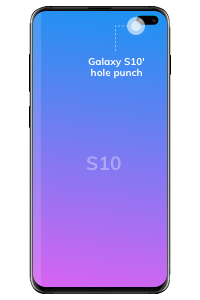 iPhone’s notch or the Galaxy S10’s hole punch? 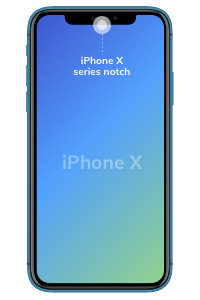 Vote for your preferred phone designs! News about the latest Samsung S10 winner. Samsung S10 hole punch or iPhone X series notch? 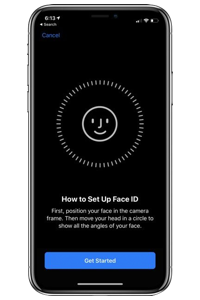 S10's Ultrasonic fingerprint sensor or iPhone's 3D face scanning? Samsung or iPhone, which has the better camera? The brand new Samsung Galaxy S10 is expected to deliver a power-packed performance. 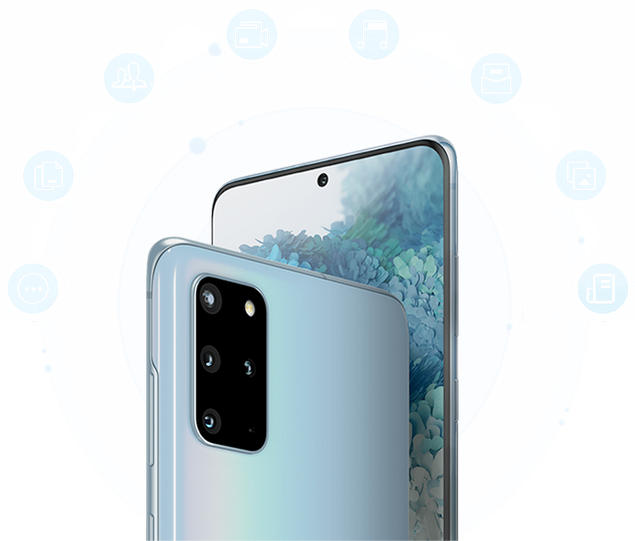 The phone is being appreciated not only for its unique design, but also for its advanced features like triple camera, wireless charging, 5G support, and more. Here are some of its probable features. 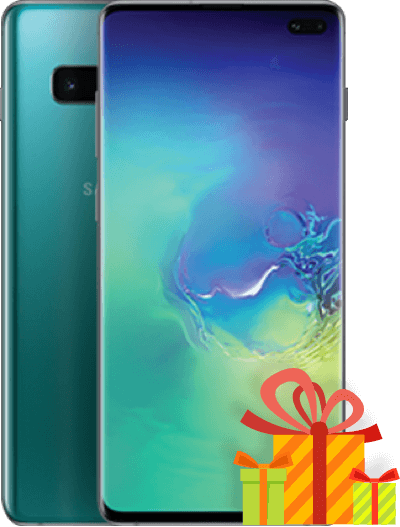 To be eligible to win a new Galaxy S10, participants are needed to complete the task (cast their vote). The provided email ID should be valid and working. If duplicate email IDs are provided, only the first entry will be considered. The validity period of this campaign is from February 20 to April 8, 2019. The winner will be announced on our Facebook page after this campaign. The winner will get a brand new Samsung Galaxy S10. Information provided by the participants will only be used on this page. The final right for this activity and its results are reserved by Wondershare. 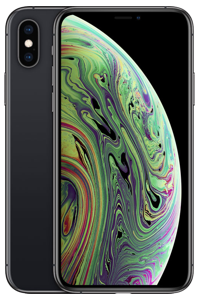 How Do You Like the New Samsung or iPhone? Share Your Thoughts! Got a new Samsung Galaxy S10? 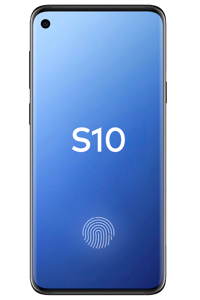 The next step is surely to transfer all your important data from old phone to your Samsung S10. But we've heard so many unpleasant stories about Samsung data transfer: data loss, unsupported transfer files, too long transfer duration, unexpected transfer interruptions, etc. With the help of dr.fone - Switch, you can perform Samsung Galaxy transfer in a single click. 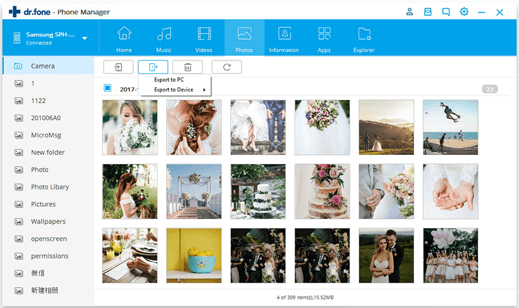 Transfer all your photos, videos, audios, contacts, messages, call logs, etc. from an existing iOS/Android device directly to your new Samsung S10. Not any data loss and transfer complete in minutes! Only 1 click required for Samsung Galaxy transfer. Transfer data from one platform to another (like iOS to Samsung and vice versa). Move your contacts, photos, videos, messages, call logs, browser history, and more. Compatible with more than 8000 device models (including Samsung S10). Supports devices running on iOS 12 and Android 9.0. A total of 15 phone data types supported for Galaxy transfer. 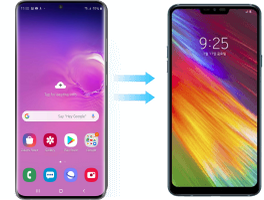 How to transfer data to Samsung S10 in 1 click? Install and launch dr.fone - Switch on your Windows/Mac. Connect your old iPhone/Android and Samsung Galaxy S10 to your computer. Select the wanted data types, and click "Transfer" to start transferring data to your new Samsung Galaxy S10. 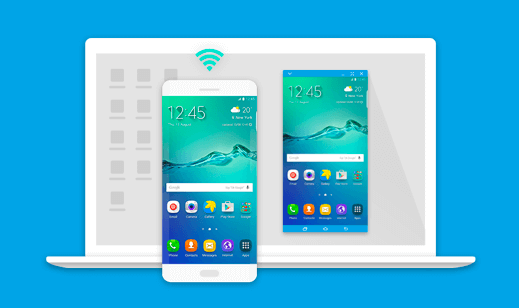 Samsung Smart Switch provides different ways for Samsung file transfer. You can establish a wireless connection between your iPhone and new Samsung S10 or connect them via a USB adapter for a direct transfer of data. 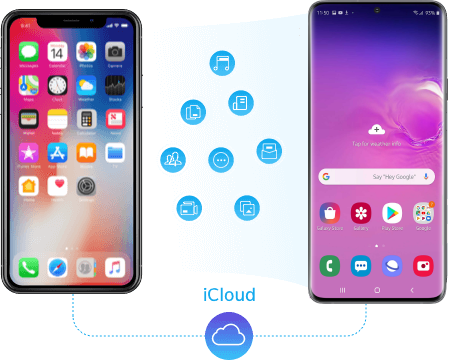 Additionally, there is also a provision to restore an existing iCloud backup to Samsung S10 using Smart Switch. Go to your iPhone’s iCloud settings and access its backup on iCloud. Install and launch Samsung Smart Switch on Samsung S10. Select the Wireless transfer > Receive > iOS > iCloud. Log-in to the iCloud account and select the backup to restore data on Samsung S10. Apart from retrieving from an existing iCloud backup, you can restore an iTunes backup to your Samsung device as well. Though, to do that, you would need to use the desktop application (Windows/Mac version) of Samsung Smart Switch. Your target Samsung device should be connected to it while restoring the iTunes backup on it. Connect your iPhone to iTunes and take its backup on the local storage. 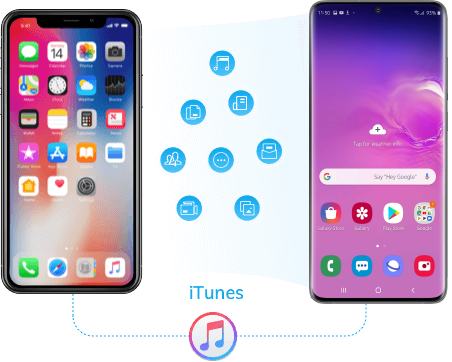 Launch the Samsung Smart Switch application and connect Samsung S10 to the system. Choose to restore the iOS contents from an iTunes backup. Select the backup and start the file transfer to Samsung. If you want, you can directly connect your iOS device with Samsung S10 using a USB adapter for iPhone to Samsung Galaxy transfer. This will let you use the USB connectivity feature of Samsung Smart Switch. Needless to say, this is a more direct and time-saving solution to transfer your data to Samsung. Connect both the devices using a USB cable and your iPhone to a USB adapter. Launch Samsung Smart Switch on your Samsung and choose USB connection. Select the iOS data you wish to transfer and start transferring iOS files to your Samsung. 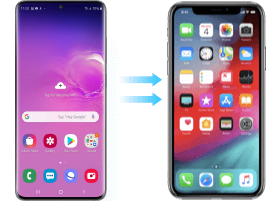 There are different ways to transfer data from an Android to Samsung S10. One of the common ways to do this is by using Samsung Smart Switch. You can connect both the devices to the same Wi-Fi network and perform a direct transfer from old Android to Samsung. The source Android device should be running on Android 4.0 or a newer version. Launch Samsung Smart Switch and choose to perform wireless transfer. Mark the sender (Android) and the receiver (Samsung S10). Enter the one-time password to establish a secure connection. Choose the data categories and start Samsung file transfer. If you can’t connect both the old Android and Samsung Galaxy S10 wirelessly, then you can also transfer the needed data via an SD card as well. Just make sure that the SD card is compatible with both the devices and that it should have enough free space. Firstly, a backup would be taken and later it will be restored to Samsung S10. Launch Samsung Smart Switch and select the “Transfer via external storage” option. Choose to take a backup of your data on SD card. 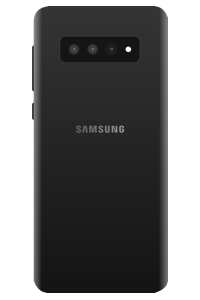 Unmount it and attach it to your Samsung S10. Launch Samsung Smart Switch > Transfer via external storage > Restore from SD card. Lastly, you can also use the desktop application of Samsung Smart Switch to transfer data from an existing Android to Samsung S10 as well. The tool can be used to maintain a backup of your Samsung phone and later restore it to your Samsung S10. While restoring, you can select the category of data you wish to retrieve. Connect the old phone to the system and launch Samsung Smart Switch. Click on the “Backup” button and take an extensive backup of its data. Disconnect it and connect Samsung S10 to the system. Launch Samsung Smart Switch on it. Click on the “Restore” button and retrieve the data from an existing backup. Samsung Smart Switch Not Working? Fixes Here! By now, you already know different ways to switch to a Samsung S10 from different iOS and Android devices. 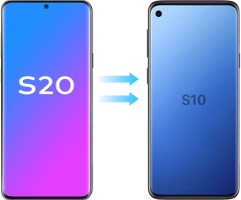 Nevertheless, there are times when users wish to move their data from a Samsung S10 to another device as well. 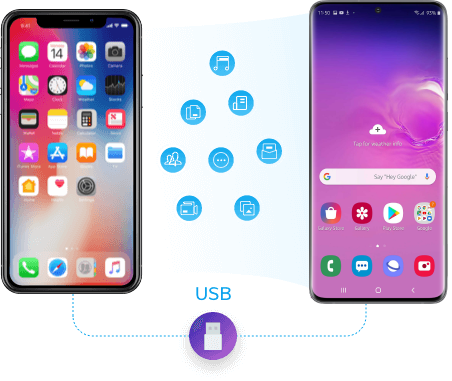 You can transfer data wirelessly or by connecting both the phones using USB adapters. Also, you can take the assistance of a Mac/PC to perform a cross-platform data transfer as well. There are numerous native and third-party solutions for this. Performing contact transfer from one Samsung phone to another is quite easy. You can use native solutions like Switch, Kies, Bluetooth, etc. to do this. There is also a provision to use SD card to transfer contacts or by syncing it via cloud. A cross-platform transfer of data is always a tedious job. You can use Apple’s native Move to iOS app to switch from a Samsung to iPhone. There are also tons of more flexible solutions (like dr.fone – Switch) that can transfer Samsung contacts, photos, call logs, etc. to iPhone. This is relatively easier as you would be performing an Samsung to LG transfer. 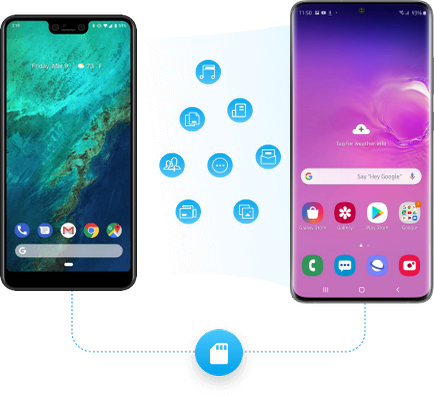 Ideally, you can sync your data with Google and access it on a Samsung/LG phone seamlessly or use a third-party app like LG Mobile Switch as well. Native solutions like Google Drive and iCloud can’t perform a cross-platform transfer of WhatsApp chats. Therefore, you can use a dedicated WhatsApp backup extractor to perform this cross-platform transfer. See how to transfer WhatsApp data from Android to iPhone. Apart from transferring data from an old iPhone or Android, users also wish to do data transfer between their Samsung device and PC/Mac too. For instance, you might wish to transfer photos from your Samsung phone to your computer or music from your computer to Samsung. To do this, you can take the assistance of different Samsung file transfer tools and perform a hassle-free data transfer between Samsung device and your PC/Mac. A part of the dr.fone toolkit, it provides a user-friendly solution to transfer all kinds of data between a Samsung device and computer. The desktop application runs on Windows and Mac. It supports a selective transfer of data to and from a Samsung device through its intuitive interface. Users can get a preview of their data and perform a selective transfer. It can transfer various data from Samsung to PC/Mac, and vice versa. Also has a dedicated file explorer to browse the device storage and data. Launch dr.fone - Transfer and connect your Samsung phone to the computer. Go to the Photos/Videos/Music/Information tab and preview the saved data. Select the data you wish to transfer and click on the Export button. To add content to your Samsung, click on the Import button and choose the needed files. Developed by Samsung, Smart Switch provides a convenient way to move our data from one smartphone to Samsung. Though, it can also work as a Samsung PC suite to take a backup of your Samsung device on your computer and later restore it as well. The only problem is that it doesn't provide us a preview of our data like dr.fone - Transfer. Freely available data manager, developed by Samsung. Provides an easy solution to backup and restore data to/from a Samsung device. It supports all the major type of data like photos, videos, contacts, call logs, etc. Easy to use with seamless backup and restore options. Launch Samsung Smart Switch and connect your Samsung to the system. Click on the “Backup” option to transfer data from your Samsung to computer. To transfer it back, connect your Samsung again and launch Samsung Smart Switch. Choose the “Restore” option and select the data you wish to transfer to your Samsung. While Windows users can simply plug their Samsung device to the system and use it for data transfer, the same can’t be done on macOS. To resolve this, Google has introduced Android File Transfer. It is a lightweight and effective application that lets us transfer data between an Android and Mac. Needless to say, it supports all the major Samsung devices too. This is a freely available Mac application, developed by Google. 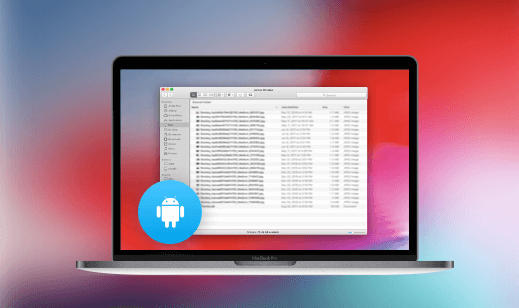 It will let you browse the file system of your Android device on macOS easily. Users can also transfer their data between Mac and Android using the tool. The media files should be DRM-free to be transferred. Install Android File Transfer on your Mac by visiting its website. Drag AFT to Applications and launch it once your Samsung is connected to the system. 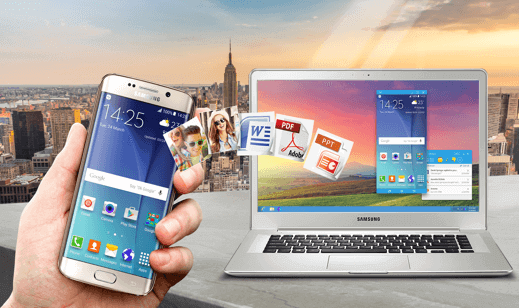 Browse the file system on your Samsung device and transfer data to your Mac. Similarly, copy anything from your Mac and paste it on Samsung’s file system. Can’t transfer messages, call logs, browser history, etc. 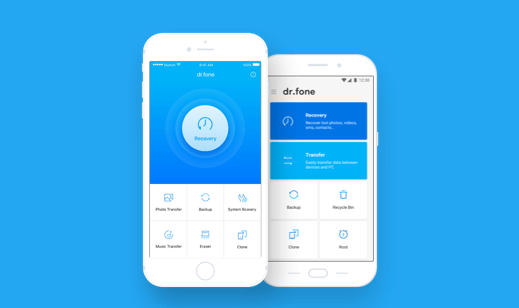 To make sure its users have a hassle-free smartphone experience, dr.fone has come up with a dedicated app to transfer data on Samsung devices. The app will let you transfer data between your Samsung and computer wirelessly. It is extremely easy to use and provides data recovery options as well. The app allows us to transfer data between PC/Mac and Samsung wirelessly. It can be used to transfer photos, videos, audios, contacts, etc. Provides an extremely secure and easy transfer solution. Comes with other features (like data recovery). Launch the dr.fone app for Android on your Samsung and choose the content you wish to move. Open the website (web.drfone.me) on any web browser on your computer. Connect your Samsung phone and computer to the same Wi-Fi and enter the one-time generated code. Start transferring the content from Samsung to computer or vice versa wirelessly. This is another Android app developed by Samsung that lets us mirror our device on a PC. Besides accessing the device features on a big screen, you can also use it to transfer data to and from your Samsung phone and the computer. It is a native data transfer and phone mirroring solution developed by Samsung. Users can access the phone features on their PC and simply drag-and-drop data files. It supports the transfer of all the major media files like photos, videos, and audios. Run the app and the software on your Samsung and computer. Connect your Samsung to the system wirelessly or using a USB cable. Sync both ends and wait as its screen would be mirrored. Drag and drop the files to transfer them between your computer and Samsung. Just like any other smartphone, Samsung users also keep coming up with numerous tips and tricks. For instance, there are times when users only wish to move certain types of data instead of taking an extensive backup. If you also own a Samsung phone, then learn these helpful tricks to make the most of your new Samsung S10. Take a backup of iPhone on iTunes and use an iTunes backup extractor to move it to Samsung. Install and launch a dedicated WhatsApp transfer app on it, select the iPhone Archive, and transfer the chats. Take a backup of iPhone contacts on iCloud. Launch Smart Switch on Samsung and retrieve contacts from an iCloud backup. Select contacts records and restore them. Connect iPhone and Samsung using a USB adapter and launch Smart Switch. Mark the sender and receiver devices and choose to transfer music files (DRM-free). Connect your Samsung device to Mac and use it to perform photo transfer (PTP). Open the Capture app on Mac, select the photos, and transfer them to Mac. This can be done by using a dedicated Samsung device manager for Mac like dr.fone – Transfer, Smart Switch, or Android Device Manager. Connect the phone and choose it to perform media transfer. Copy any audio from the computer, visit the phone storage, and paste the music file on it. Can we transfer Samsung apps to iPhone? As of now, there is no simple solution to transfer apps and app data from Samsung to iPhone. Even the Move to iOS app can only transfer common files to iPhone, for example, Samsung to iPhone contact transfer. You can note down all the important apps in your Samsung phone, and find their iOS versions in App Store to download. Can Samsung Smart Switch transfer WhatsApp messages? Smart Switch can’t transfer app data and won’t be able to move your WhatsApp chats across different devices. In this case, you've got to find a WhatsApp transfer tool to transfer WhatsApp messages & photos to your new Samsung. 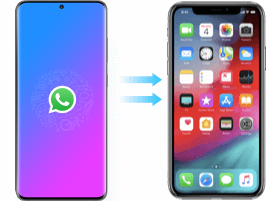 See how to transfer WhatsApp messages to new phone. How to transfer files from Samsung phone’s internal memory to its SD card? Simply go to the internal storage of your Samsung phone and select the files that you wish to transfer. Afterward, you can move them to the connected SD card. Besides that, you can also make SD card the default storage for photos and videos too. Does Samsung Smart Switch transfer apps? Yes, Samsung Smart Switch can transfer apps if the platform is same (that is Android to Samsung transfer). Though, it will transfer the apps and app history and not the offline app data. Security Verified. 5,942,222 people have downloaded it. Recover data from common Android, Android SD card, and broken Android. Manage Android photos, music, videos, contacts, messages, etc. Backup Android devices to Mac/PC comprehensively or selectively. Fix various Android system issues like OTA update failure, black screen of death, boot loop, etc.